I attended a very busy and interesting meeting of the Jisc RDN (Research Data Network) and gave a presentation about our work in the Clipper project. Much of the attendees were involved with the Jisc shared service pilots in this area. 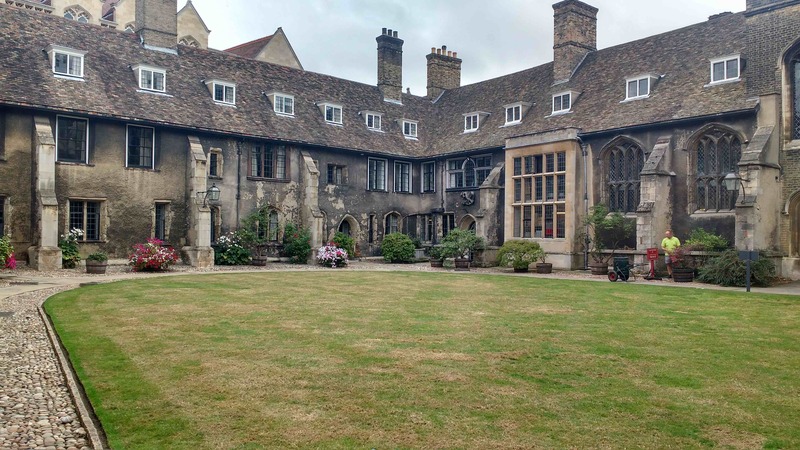 The event was held in the historic Corpus Christi college and the main plenaries were held in the Mcrum Lecture Theatre – up a side alley from the famous Eagle pub (where I had a very fine pint of Greene King IPA – after work). You never know what may turn up at these events and it pays to keep an open mind about possible connections, this was one of those days when sparks seemed to fly from different ideas. The day began with a really interesting and though provoking keynote from Danny Kingsley – the Head of Scholarly Communications at Cambridge. During this she mentioned the challenges presented by time based data such as audio and video (Clipper I thought!). But Danny also mentioned the growing field of data citation and the challenges this presented. This created Spark No.1 – I though to myself – well Clipper is actually a form of data citation – specialising in time based data (citing parts of a web data resource via a URI and making some comments about it in context). But the more I thought about this as I sat in the lecture theatre I started to scribble some notes. Clipper is also a web annotation tool that is using emerging W3C standards in this area so that standard provides a nice potential for a vehicle to create and transport data citations more generally. This then got me thinking about the work we have been doing with the Roslin Institute at Edinburgh University in the project (see the draft ‘Clipper Snapshot Case Studies‘ document) where we discussed linking Clipper annotations to the DataCite DOIs ‘minted’ by Roslin for their data that linked to the time based media files we were annotating. The DOIs provide the provenance of the data we are ‘clipping’ and annotating, it seemed to make a lot of sense then in the Clipper project and perhaps now in the wider field of general data citation. After all, the content of a W3C web annotation can carry any information we like so it should be able to accommodate all disciplines and emerging data citation formats? 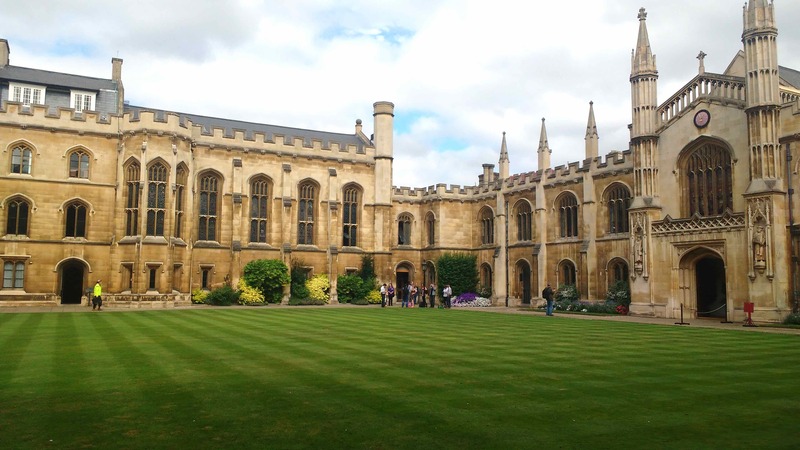 I was musing about this at the lunch break when I briefly bumped into Neil Jefferies (Head of Innovation at the Bodleian Library Oxford) who I knew from the Jisc Data Spring Programme. I was explaining these ideas to him when he added the idea of using the ORCID standard into the mix to identify researchers and link them to their data – so that was Spark No.2. 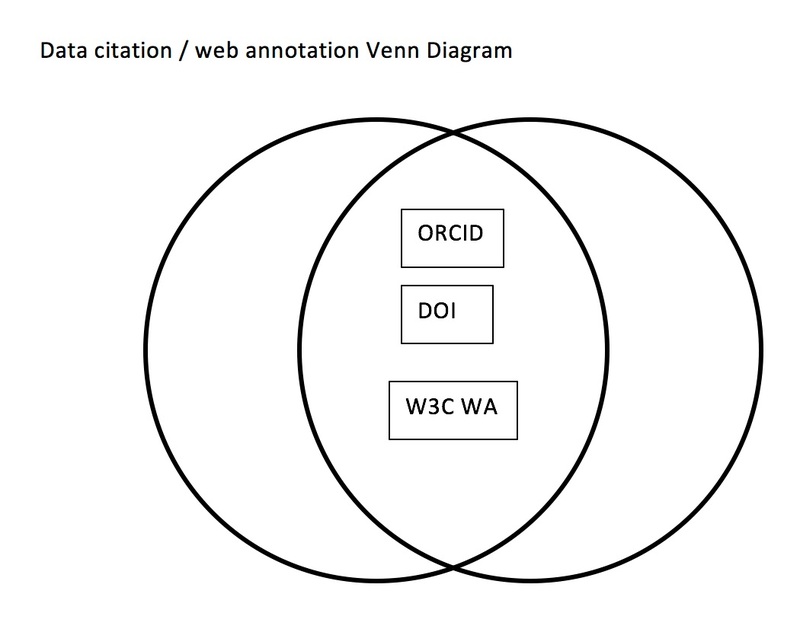 It’s an attractive idea – use existing standards (DOI, ORCID) with the soon to be standard W3C Web Annotation data model as a means of creation and transport for data citation. One of the advantages of this is that the citations themselves would be easily shared on the web and so accessible by search engines and analytics services. It seems to map nicely onto what we have been discussing…hopefully to be continued. 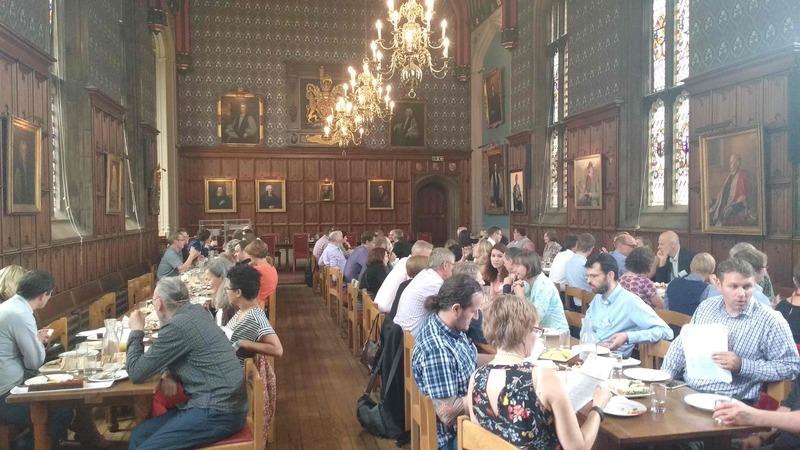 The Corpus Christi Dining Hall at lunchtime.